Cet appartement est situé dans un bâtiment entièrement rénové. Il est composé de deux chambres doubles modernes et spacieuses mettant à disposition chacune un lit double et une armoire. Le salon dispose d'un canapé-lit et d'une télévision. La salle de bain, quant à elle, est équipée d'une baignoire-douche. La cuisine est entièrement équipée : four, micro-ondes et tous les ustensiles de cuisine nécessaires. Ce logement se situe à environ 10 minutes à pied de la Plaza Espanya et dispose d'un excellent réseau de transports en commun. C'est un emplacement idéal pour un voyage d'affaires ou pour profiter d'agréables vacances sous le soleil de Barcelone. L'appartement est situé dans un quartier qui se trouve entre l'avenue Parallel et la montagne de Montjuic, l'une des plus belles collines de Barcelone. Montjuic est très apprécié pour sa Fontaine Magique, ses musées et ses parcs. Nous vous conseillons vivement d'aller voir les fontaines de nuit : enchantement garanti ! We loved staying here , apartment is really clean and cozy, really close to the Barcelona main attractions ! So It was my second time renting apartments with BH, It\'s almost like on the pictures!! All the time I arrive in apartments I\'m surprised because its apartments of my dream!! !Nice furniture, bright, clean, well-connected!!! Perfect for a vacation! Thank you, Olivia! I appreciate your review. We were confused with the fridge because it didnt work sometimes but the owner of the apartment came and explained us how it worked properly. Dear Linda. I apologize for not informing you right away about the fridge, but I really hope you had a very nice stay in Barcelona, despite the fridge being as it is! As I really love Barcelona I was searching for something really comfortable and nice.As I found this accomodation It was quite perfect to me. I can recommend everyone to rent this apartments! Thank you very much, Alex! I'm very happy to hear you liked it. The apartment was as per the description given on website.Its close to Metro so was very convenient to travel and roam in city. Would recommend it for stay in barcelona. Hi Joe. It's good that you liked the apartment, I'm happy to hear that. Please, feel free to return to Barcelona some day. Apartments is reaaaaally perfect! We were very glad to had our staying in apartments except of hotel. We could buy food and make a dinner in our apartments in our own flat!!! 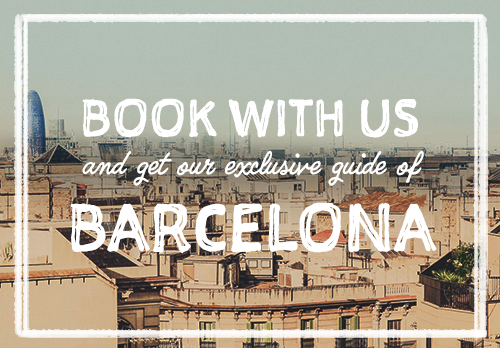 What can be better after a long day in Barcelona come back to your apartments? And also wanna say thank you to people from Barcelona Home!! Perfect! Dear Alexandra. Good to know that you enjoyed the apartment. Please do come back one day. Lovely place, full of light and well-equipped. only negative was the sofa wasn\'t the comfiest but the flat was very close to montjuic and found it a very good base for sightseeing. Hello Caroline. Thank you for leaving a review. Barclona impressed us by it´s beauty. I can highly rank this apartment also because it is situated very closed our best Placa Espanya and Montjuic. We are coming back soon! Thank you, Davide! Nice to hear you very much liked the place.